After releasing six videos off his “Highest” album in one day, Sarkodie comes through with the seventh and official music video for “Far Away”. The song, which features Mavin Records superstar, Korede Bello, was produced by T’Spize while Sesan directed the video. 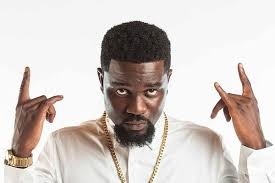 The Ghanaian rapper Sarkodie dropped 6 music videos from the album on the same the the album was released. The 18-track album also includes one bonus track, “Pain Killer” featuring Runtown. Other acts on this new body of work include: Suli Breaks, Jesse Jagz, Bobii Lewis, Jayso, Worlasi, Moelogo, Big Narstie, Joey B, Praiz, Victoria Kimani and Yung L.